v …. More to come! Insurance specific editing reduces claim rejections. Claim back-up and regeneration make resubmission and proof of submission easy. 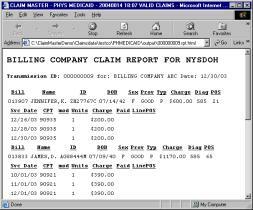 Insurance companies pay electronic claims more quickly. 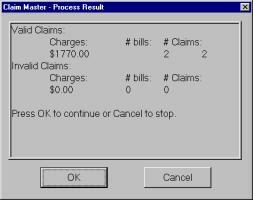 Octagon ClaimMaster's easy to use windows guide you through verifying and sending the claims directly to your insurance company, complete with backup. Your claims are sent quickly and accurately. 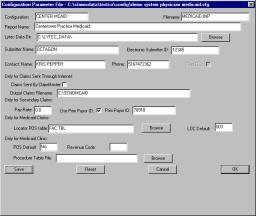 A parameter screen lets you configure each insurance company, based on a simple template. Octagon ClaimMaster starting at $895! Do you want to start saving money with Octagon ClaimMaster today?